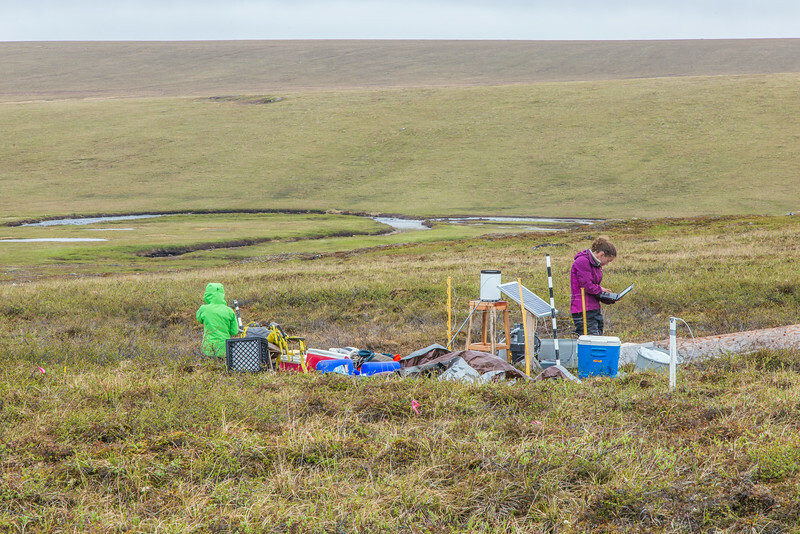 Ludda Ludwig, right, a Ph.D. candidate with UAF's College of Natural Science and Mathematics, transfers data from a climate recording station at a research site near the headwaters of the Kuparuk River on Alaska's North Slope. Ludwig's research involves the movement of water and nutrients from Arctic hillslopes to streams. Her research partner is Kelsey Blake, in green, a graduate student at the University of Victoria in British Columbia.